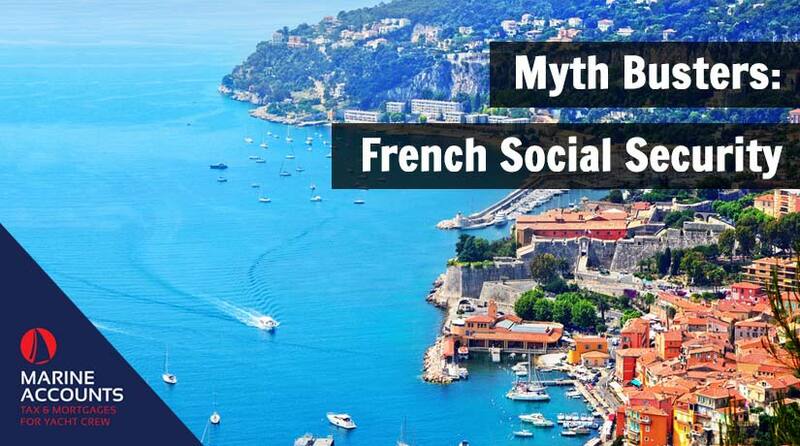 As we approach another Med season, the issue of French social security has once again reared its head. Since the announcement of Article 31 in March 2017, confusion has reigned with amendments to the decree over the last 18 months only serving to further the lack of understanding amongst crew. In this article we will aim to clarify the implications of this legislation, who it applies to and what action you may need to take. Upon first announcement of the new system, many speculated that the it would not be possible for the French authorities to implement the rules. It does however now appear that management companies and the crew who they employ have come to accept that compliance with the legislation in a necessity not an option. Your yacht spends more than 181 consecutive days in French waters in a calendar year (days spent in a shipyard are exempt and do not need to be included). You are a French resident/French domiciled crew member. If you are unsure if this applies to you, you can find out using our online residency test by hitting the link shown below. If either of the above apply to you, it is the responsibility of your employer to be able to show that they are making social security contributions on your behalf, as well as taking the necessary payments from your salary at source. If this evidence is requested and cannot be provided, ENIM may furnish penalties of €225,000 as well as up to 3 years of social security contributions to be paid in advance and a seafarer indemnity worth 6 months of salary for each noncompliant individual. Whilst it is the responsibility of your employer to ensure that all contributions are up to date, if you believe you should be making contributions and can’t see any deduction from your salary, this would certainly be a question worth raising with your employer. You can approach ENIM to declare your residence in France and request to pay social security contributions. You need to be aware that they will not accept any contributions unless the employer makes the declaration and submits the required information. 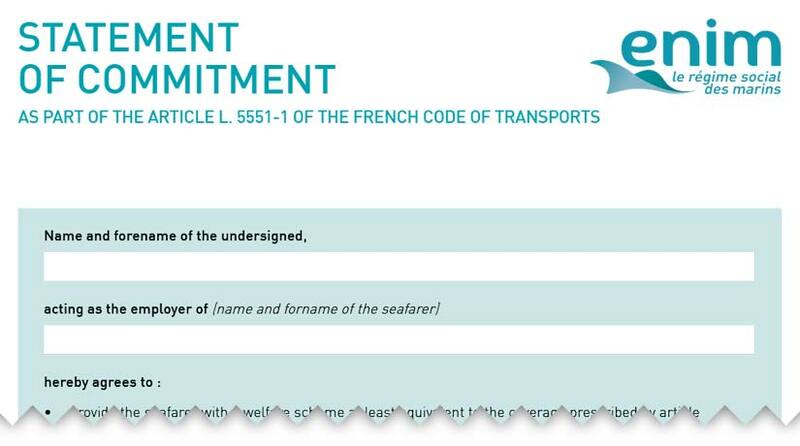 If you are working on a yacht flagged in a country with which France has a Bilateral agreement, the UK for example, and you are making contributions to that country you will be exempted from paying contributions. Your employer will also have an exemption. Another route is to contribute to private social protection policies that comply with Article L111.1 of the French Social Security Code. The employer and employee will be exempted from making contributions to ENIM and the employer will need to evidence this by signing the Declaration AF03 or AF03EN, which is the English version. It may also be worth mentioning that most yachts will already have in place insurance and medical benefits for crew which will cover all, but the Old Age Benefit as per the “equivalence” requirements of the decree when using private social protection. This missing requirement can be covered by taking a private pension plan known as a Plan d’Epargne de Retraite Populaire or PERP. If your employer can demonstrate that you have satisfied all equivalence requirements by a combination of these means, you will not need to make social security contributions on top of this. Only once this can be evidenced will your employer be able to issue you the AF03 or AF03EN discussed above, this document being the vital evidence of your compliance. If you are unsure as to how this legislation affects you or your vessel, contact a member of our team for more information. If you have concerns about French social security liability and how this affects you, we can improve your situation by offering help and advice. Alternatively, let us know what you think in the comments section below, or get in touch with us.